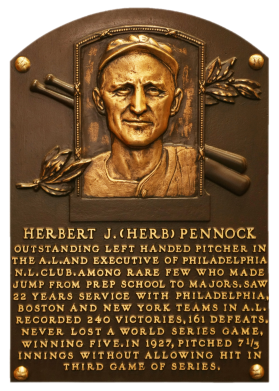 Herb Pennock finessed his way through 22 seasons to earn 240 wins. He had his greatest success with the Yankees of the 1920s, for whom he went 5-0 in World Series play, sporting a stellar 1.95 ERA. "The Knight of Kennett Square" won in double figures for 13 seasons and completed 248 of his 421 career starts. 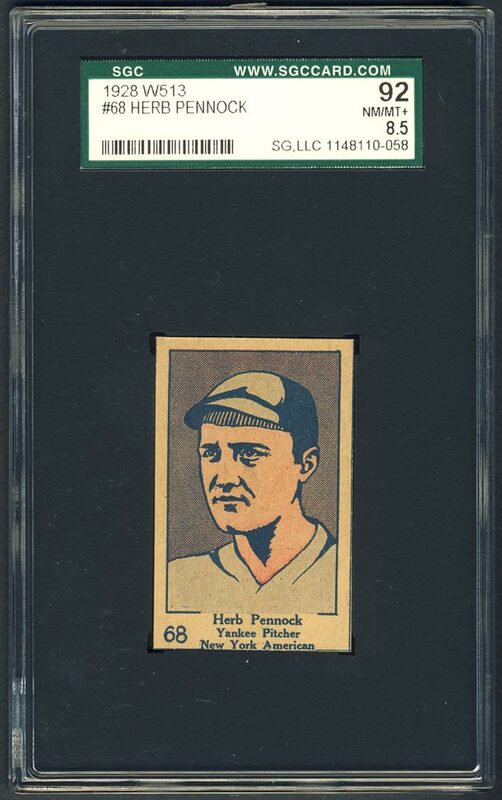 Comments: In March, 2000 I picked up a tribute card of Pennock a PSA 8 1969 Fleer card through an eBay win. 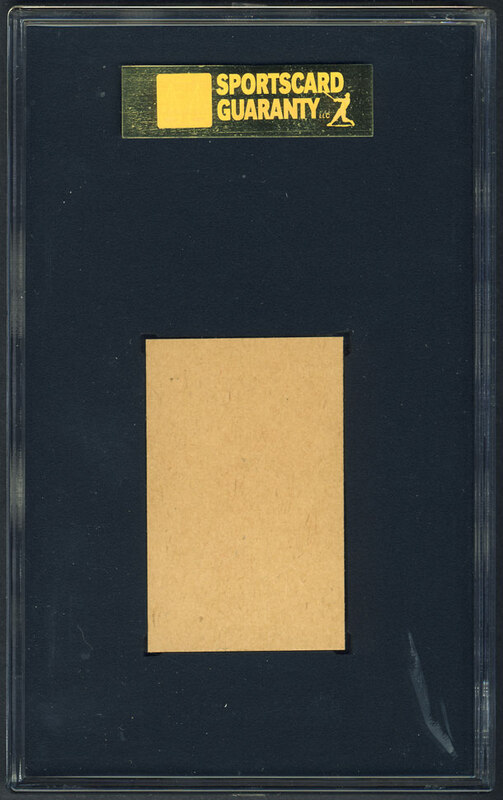 It was replaced with a contemporary issue, a raw 1924 Diaz card that I purchased through a hobby friend in March, 2004. It was eventually submitted to PSA and graded VG; subsequently sold in October, 2010. I started searching for a W513 issue for Pennock and won this SGC 92 example on eBay the following month. Description: This "strip card" set, issued in 1928 was actually a continuation of the W512 set issued two years earlier and is numbered starting with 61 where the W512 ended. The blank-backed cards measure 1-3/8" X 2-1/4" and display color drawings of athletes, which include 14 boxers and 26 baseball players. Cards are numbered in the lower-left corner.